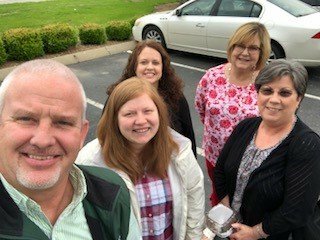 A group of employees from various USB branches went out to lunch with our bank president, Billy Bingham, at Amanda’s cupcakes in Hopkinsville. Every month we have a meet and eat so the employees can spend time together getting to know each other better. « USB is Supporting Sanctuary with Denim Day!